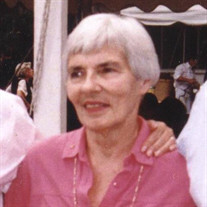 Carolyn Miller Swope died on October 19, 2014 at the University of Maryland Medical Center in Baltimore. She was 86. The family of Carolyn Miller Swope created this Life Tributes page to make it easy to share your memories. Send flowers to the Swope's family.